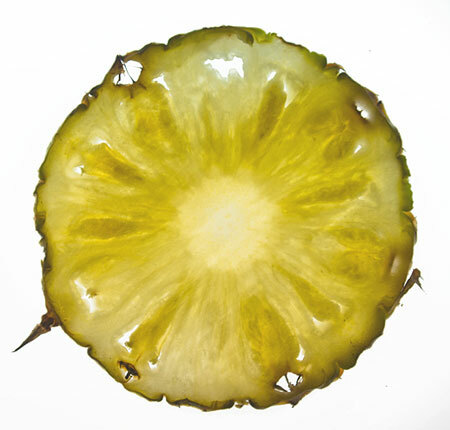 I sliced my pineapple up as thin as I could and placed the slither on an old Jessops lightbox to backlight it. I then used auto metering and over exposed by half a stop to get the bright effect. Taken with Pentax K-5 and 16-45mm lens.